Blog DWAA Award Banquet Keynote Speakers Announced: Jill Rappaport and Steve Dale! DWAA Award Banquet Keynote Speakers Announced: Jill Rappaport and Steve Dale! The Dog Writers Association of America (DWAA) is delighted to announce the keynote speakers for the 2019 DWAA Awards Banquet: Jill Rappaport and Steve Dale. The banquet takes place the evening of Sunday, February 10, 2019, at the iconic Hotel New Yorker in Manhattan. After the speeches, DWAA will announce the winners of Maxwell Medallions as well as a whopping $15,950 in special awards. Jill Rappaport is an award-winning animal advocate, network journalist and best-selling author, known nationwide as the popular, longtime correspondent on NBC. Considered a “Voice for the Voiceless,” Jill works tirelessly to make a difference for animals in need by shining a light on shelters across America. 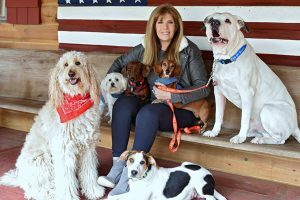 Rappaport is also the host and consulting producer of Animal Planet’s new show “Dog Bowl,” which was an idea she came up with to shine a light on older animals in need. She launched her award-winning segment “Bow To Wow” on NBC’s TODAY show and this popular series aimed at finding shelter animals a one-way ticket to a loving home, ran for 8 years and had a 100% adoption record. In addition, Rappaport’s heartfelt animal welfare stories for NBC’S “Nightly News” really resonated, all going viral. She has received the first “Voice for the Animals” Award from HSUS, The Presidential Service Award for Media Excellence from the ASPCA, and the Excellence in Journalism and Outstanding Contributions to the Pet Industry Award. And she has had the honors of ringing The NYSE Opening and Closing bell, all to raise awareness for pets in need. In addition, Rappaport has written four books, three focusing on animal welfare including the best-selling People We Know, Horses They Love, featuring Robert Redford on the cover. She also has a complete line of dog and cat toys, dog treats, leashes, collars, and dog beds all benefiting shelter animals in need! She sells the dog and cat toys and dog treats exclusively on QVC. 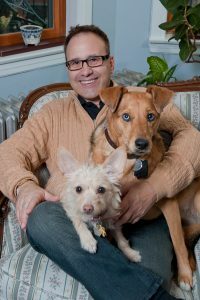 Steve Dale, certified animal behavior consultant (CABC), is the host of two nationally syndicated radio shows, Steve Dale’s Pet World and The Pet Minute (together heard on more than 100 radio stations, syndicated Black Dog Radio Productions, since 2005). He’s also a special contributor at WGN Radio, Chicago, and program host of Steve Dale’s Pet World (since 1997). He formerly hosted the nationally broadcast Animal Planet Radio. For 21 years, his twice weekly newspaper column was syndicated by the Chicago Tribune. Steve was a contributing editor for USA Weekend (2002 to 2014). He has written for a long list of magazines, from People to Dog World (where he was a columnist). He authors a column called Steve Dale’s Vet World for Veterinary Practice News, and is also a columnist for the Journal of National Association of Veterinary Technicians in America. Steve co-edited Decoding Your Dog, written by the American College of Veterinary Behaviorists (Houghton Mifflin Harcourt, 2014). Steve’s the author of e-books, Good Dog! and Good Cat! (Chicago Tribune, 2013). He’s the author of several other books, including DogGone Chicago and American Zoos. Among Steve’s many awards, the AVMA Humane Award (the only AVMA honor bestowed to a non-veterinarian), Editor and Publisher syndicated newspaper Feature Writer of the Year Award, AKC Responsible Dog Ownership Public Service Award (twice), HSUS Pets for Life Award, American Humane Association Media Award, American Pet Products Association Pet Industry Outstanding Media Representative of the Year, and has been honored with over 15 Maxwell Medallions from the Dog Writers Association of America and over 15 Muse Awards from the Cat Writers’ Association. He’s also been honored by the Chicago Veterinary Medical Association, University of Illinois College of Veterinary Medicine, and was the first recipient of the Winn Feline Foundation Media Appreciation Award, and many others. In 2012, Steve became the youngest person ever inducted into the Dog Writers Association of America Hall of Fame. Both Rappaport and Dale volunteer on the board of the Grey Muzzle Organization, a nonprofit that offers grants that support senior pet adoptions. There will be an exciting announcement involving the Grey Muzzle Organization at the banquet as well. The DWAA Writing Competition is currently accepting submissions from both members and nonmembers. The contest closes on Friday, Sept. 7, 2018. Finalists will be announced on social media in early December.